Here is the Marucci June 2018 special bat of the month. Part of that agreement is to provide special pricing monthly and promotions exclusively for MSBL players. Just click on the image above, which will take you to the Marucci website. 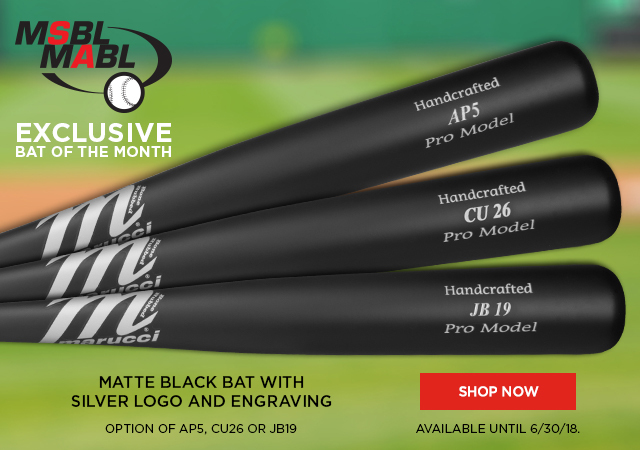 To check out the special member only Marucci deals for June just click here and then type in the special MSBL code MSBLMABL.